Custom made in New Hampshire, The Black Paw Studio Silhouettes depict the Newfoundland standing and doing the work they were bred to do. Made from wood and painted each comes with a natural wood stand. 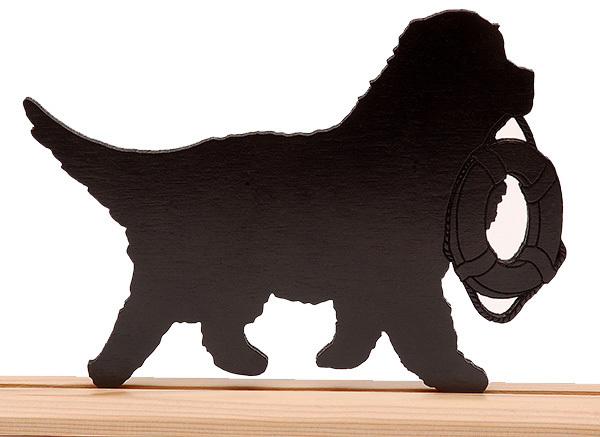 Perfect for the mantel, shelf, or anywhere you would like to display your love of Newfies. Life Ring Newf measures 7½"L x 6"H.